Gout affects 8.3 million Americans according to NHANES 2007–2008, approximately 3.9 % of the US population. Gout has substantial effect on physical function, productivity, health-related quality of life (HRQOL), and health care costs. Uncontrolled gout is also associated with significant use of emergency care services. Women are less likely to have gout than men, but in the postmenopausal years the gender difference in disease incidence decreases. Compared with whites, racial and/or ethnic minorities, especially blacks, have higher prevalence of gout. Blacks are also less likely to receive quality gout care, leading to disproportionate morbidity. 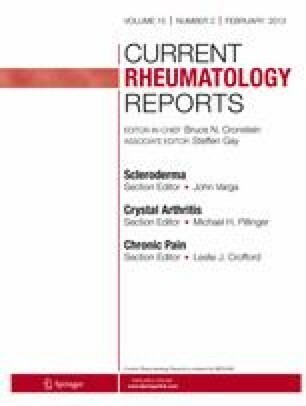 Women are less likely than men to receive allopurinol, and less likely to undergo joint aspirations for crystal analysis to establish diagnosis, but those on urate-lowering therapy are as likely as, or more likely than, men to undergo serum urate check within six months of initiation. Although a few studies provide the knowledge related to gender and race and/or ethnicity disparities for gout, several knowledge gaps exist in gout epidemiology and outcomes differences by gender and race and/or ethnicity. These should be investigated in future studies. Dr Singh is supported by research grants from the National Institute of Aging, the National Cancer Institute, the National Institute of Arthritis and Musculoskeletal Diseases, the Agency for Health Quality, and the Research Center for Education and Research on Therapeutics, and by the resources and facilities at the Birmingham VA Medical Center, Alabama, USA. The views expressed in this article are those of the author and do not necessarily reflect the position or policy of the Department of Veterans Affairs or the United States government. Dr Singh has received research grants from Takeda and Savient and consultant fees from Savient, Takeda, Ardea, Regeneron, Allergan, URL Pharmaceuticals, and Novartis. Dr Singh is a member of the executive of OMERACT (an organization that develops outcome measures in rheumatology and receives arms-length funding from 36 companies), a member of the American College of Rheumatology’s Guidelines Subcommittee of the Quality of Care Committee, and a member of the Veterans Affairs Rheumatology Field Advisory Committee.